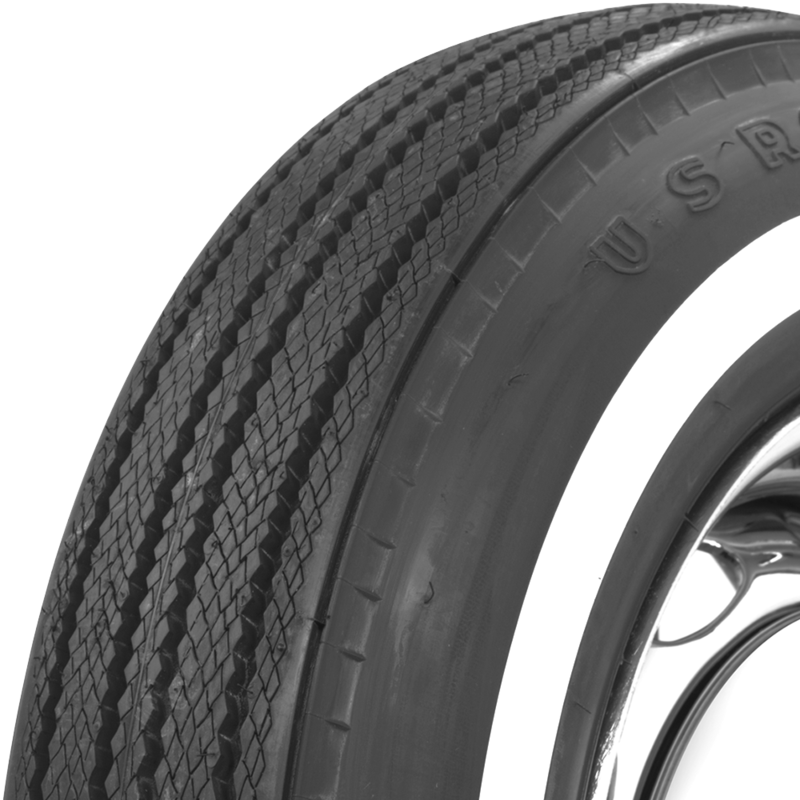 U.S. Royal Narrow Whitewall tires were OE fitments on many of the legendary freeway cruisers of the sixties. 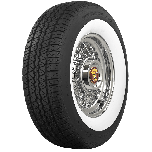 Whitewall tires 15 inch sized were very popular on the full-size sedans and luxury cars of that era. 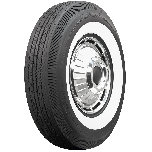 Coker Tire Company offers a full lineup authentic U.S Royal tires, made in the USA in the original molds and backed by our life of the tread warranty. Please note that dimensions listed tread width, section width and overall diameter are non-scientific and based on an inflated tire, mounted on a wheel. Dimensions may vary due to rim width and inflation pressure. 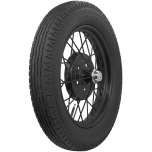 Tread patterns and sidewall styles vary, please click on individual tires below to view photos. 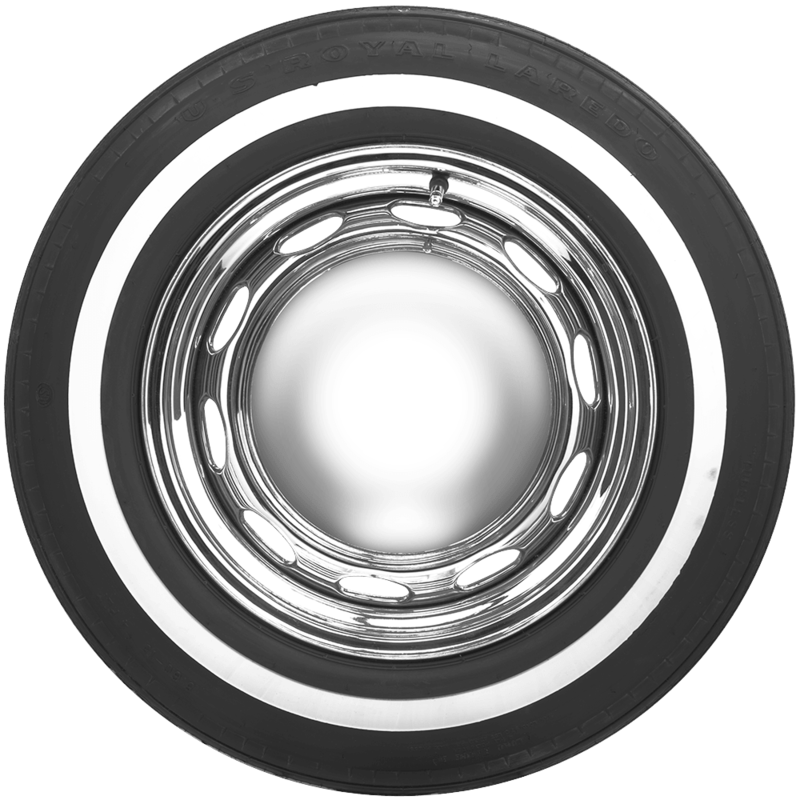 What size of tire did a 1965 Dodge D100 pickup truck originally come with? 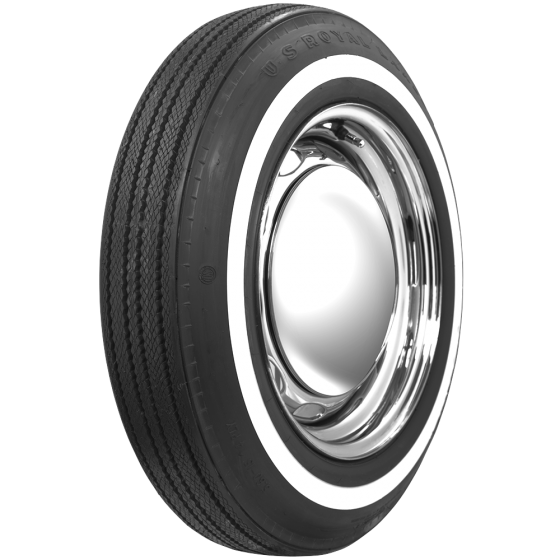 670-15 was the original equipment tire size.